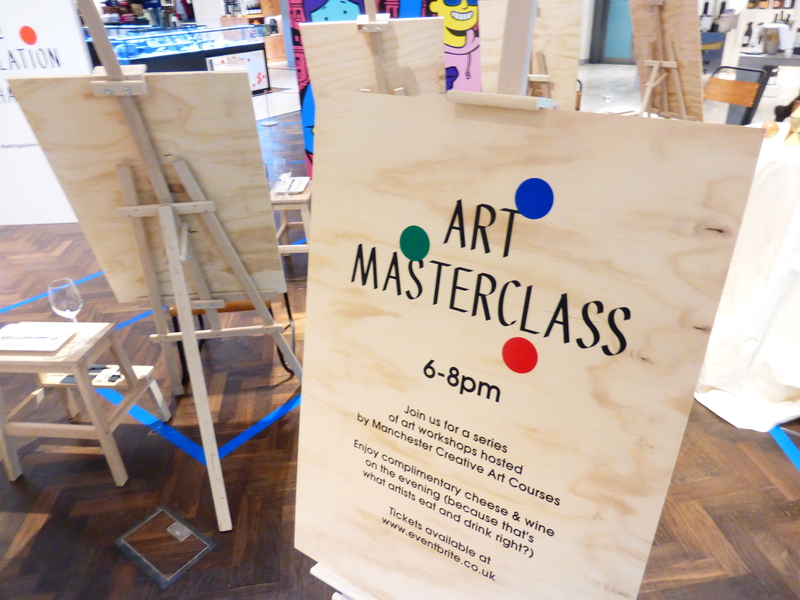 Selfridges Manchester Exchange Square invited me to run 4 Art Masterclasses as part of their promotion “When Fashion meets art” during March. What a fab time it was. Selfridges set up an amazing art studio in the middle of the Menswear department with easels and all the equipment I could hope for to ensure a great experience was had by all the participants. I got wonderful feedback from all the students – all of them saying what a great time they had. One particular student even booked for all 4 masterclasses after enjoying the first one so much! We could not have hoped for a better result!